Nervously, students appeared at breakfast, ate quickly, then took advantage of what little time remained for them to prepare for their clients’ arrival. Looking back over the day now, I can only say that it was a huge success. The class of 2014 showed incredible promise. All of them were dedicated, smart, great leaders and very persistent. It was a pleasure to watch them improve and become good friends over the course of the week. Even though they were nervous, they all brought unique talent and strengths to their work on Client Day. Here are just two highlights from the day, though really we could go on for pages and pages of all the successes from today! Dennis is quiet. He wears headphones – when not over his ears, they are around his neck. He dresses in dark colors and for the most part, speaks only when spoken to. At least that’s how it was when he arrived. Dennis was immediately hard working. Quick to pick up casting, and determined to create some workable flies at the tying table. He sat in the back for most of the sessions, but was a good sport when called upon to answer a question or participate in a demonstration. For a 17-year old, Dennis really has things sorted out. He carried this same perspective and determination with him to client day. I’m sure he takes it with him to everything he does – we just hadn’t learned that firsthand yet! Great job, best wishes, and thanks for showing us your good heart, Dennis. Shiann was quiet (at least initially to the instructors), but determined from day one. She meant business – always asking questions and really focusing. She’s smart, and the kind of student who you teach something to and then five minutes later has something to teach you. 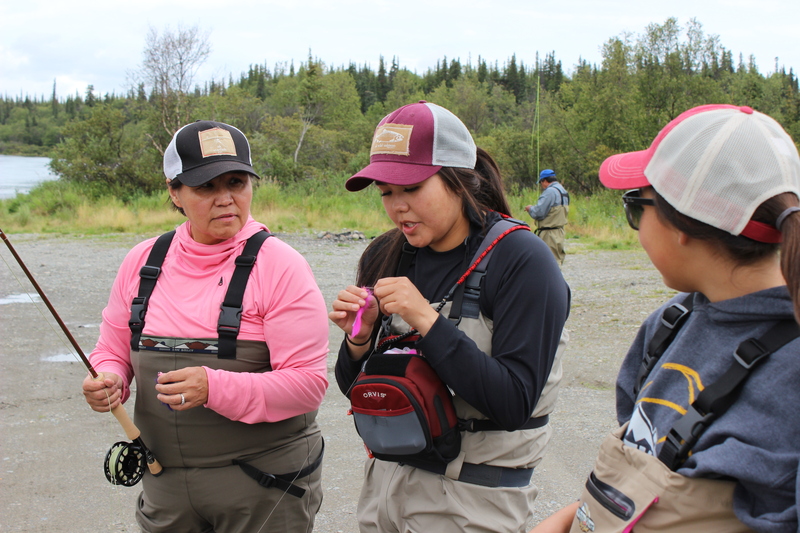 Shiann was assigned a mother and daughter client team and to no one’s surprise, managed to skillfully guide them through fly fishing basics, and lead them to an enjoyable day on the water. She was very well prepared with flies and leaders and was able to get her clients on fish with flies she had tied herself. She used elk hair caddis and pink “Fancy Nanci’s” (named in honor of Lead Instructor Nanci Morris Lyon) to ensure the clients hooked up on grayling and coho salmon. Shiann is entering her senior year of high school this fall. Busy with academics and sports, you don’t imagine she really has time to fit anything else in. Yet, she’s on track to be a great guide, and her clients recognized it. 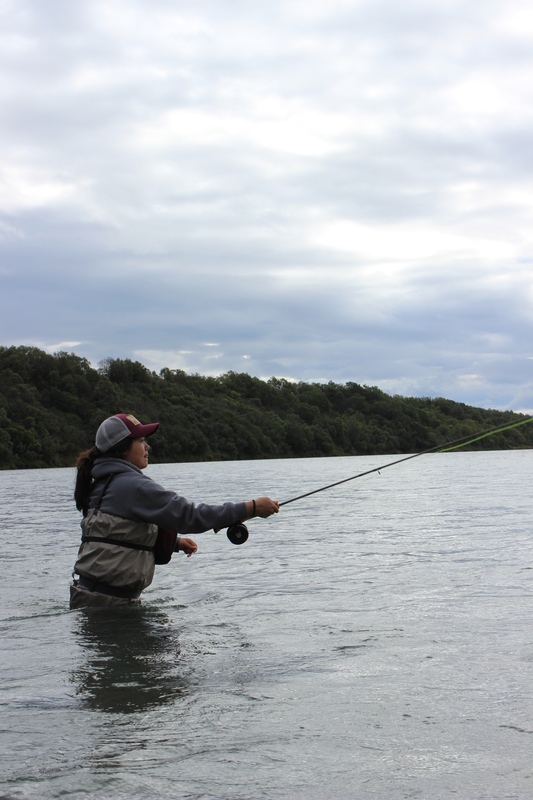 Of the many extraordinary people who attended the Academy, Shiann is a standout in her passion for fly-fishing and her focused interest in becoming part of the sportfishing and hunting guide industry. Her eyes light up when she talks about fishing and about her plans to be a guide in Alaska. Based on her demonstrated ability at the Academy she is well on her way! During an interview she said, “It’s not that hard. 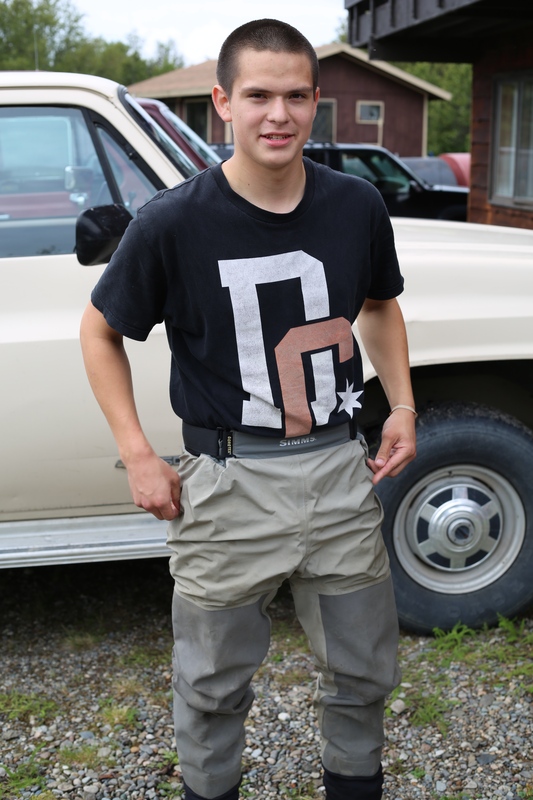 But you have to love it to make it easy.” Shiann, we hope you have plenty of opportunities to make others love fly fishing. And with your attitude, we think you will. 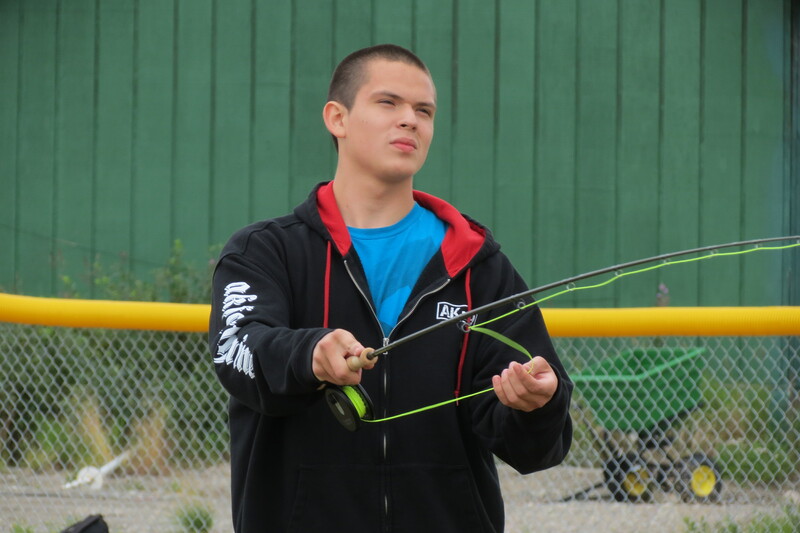 The Academy is possible thanks to the following support: Bristol Bay Native Corporation, Trout Unlimited, Bristol Bay Heritage Land Trust, Orvis, Bristol Bay Economic Development Corporation, Bureau of Land Management, University of Alaska Fairbanks – Bristol Bay Campus, and many other community supporters. Make sure to follow us on Facebook!